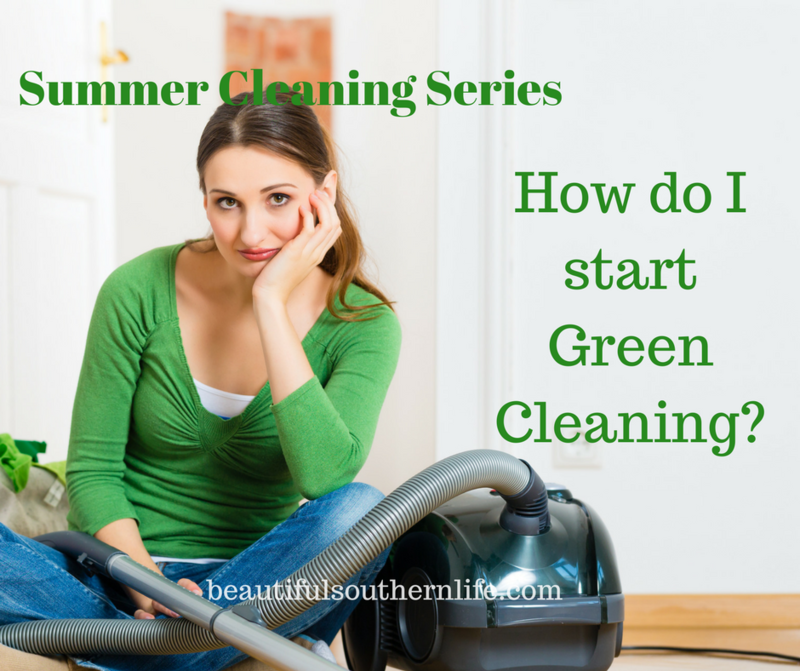 It’s hard to know where to start when it comes to green cleaning. here is a post that will get you on the right track in no time at all. Make a list of what you use to clean everything in your house with. What you clean your kitchen with? What you clean your floors with? What you use to clean your laundry with? What you use for fabric softener? What you use to clean your car with? What do you use to make your house smell good? Are there cautions or warnings? Do the bottles list the ingredients? How many do you know to be dangerous? How many can clean multiple things? If you toss any chemicals, make sure to do so properly. Cleaners are considered hazardous household waste and need to be disposed of accordingly check with your local recycling facility to see where to dispose of chemicals in your area. If you have a septic system you don’t want to pour it in your drain it will kill the bacteria that are in your septic system. You Have Taken Inventory Now What? This post contains affiliate links. I may make a small commission at no charge to you should you make a purchase through the links below. Now that you have an idea of what you use right now in your home, and you know what hazards might be in those products,, now is the time to start looking at what you might want to do next. There are a few great products right on your local grocer shelf you might want to try. Look for something that is as close to a natural ingredient as you can find. Here are a few examples that you might see. If you are like me I shop a lot on Amazon, I get great products at great prices. I have linked the products below so you can go right to your Amazon page and purchase these products if you want too. I have used Shaklee for over thirty years and love the products. I use Basic H to clean everything. It actually has so many uses and is completely safe. You can use this link to check it out and even place an order if you choose too. There products are excellent and you will love them. I know I do. This should give you a really good idea of where to start. The most important thing is to start! I did and I really do love the fact that I clean my home with things that will not make me or my family sick. In my next post I’ll share some of the cleaning products that I make and use on a regular basis. I make my own laundry soap and have used the same recipe for years I’ll share that recipe with you and what I use for fabric softener and how I use it. I will share a few recipes that I use in my diffuser too. Trust me you want to get these recipes they will save you money and you will love the way they clean. Build a Great Pin Board for Your Home or Office.